Following bargain hunting in highly capitalised stocks, equity transactions on the Nigerian Stock Exchange sustained rising profile, as the All-share index appreciates by 0.93 per cent. Specifically, at the close of trading yesterday, the All Share Index (ASI) gained 325.91 absolute points, representing a growth of 0.93 per cent to close at 35,429.31 points. Similarly, the market capitalisation gained N112billion to close at N12.213trillion. The upturn was impacted by gains recorded in medium and large capitalised stocks, amongst which were Nestle, Dangote Cement, International Breweries, PZ Industries, and Guaranty Trust Bank. 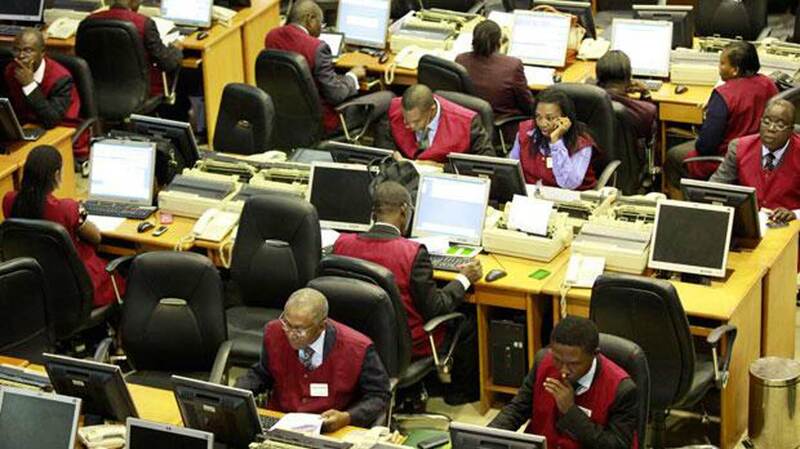 On the price movement chart, Fidson led the gainers’ table by 10.19 per cent, to close at N3.57 per share. BOC Gas followed with a gain of five per cent to close at N3.78 per share. C&I Leasing appreciated by 4.83 per cent to close at N1.52 per share. Africa Prudential rose by 4.17 per cent to close at N3.50, while PZ Industries gained four per cent to close at N26 per share. On the other hand, National Salt Company of Nigeria led the losers’ table by 8.24 per cent to close at N12.02 per share. CCNN followed with a loss of five per cent to close at N8.36, while MRS Oil shed 4.99 per cent, to close at N31.98 per share. Vitafoam Nigeria declined by 4.81 per cent to close at N2.57, while AG Leventis shed 4.62 per cent to close at 62 kobo per share. The total volume traded went up by 153.83 per cent to 346.22 million shares valued at N4billion, and traded in 3,066 deals. Transactions in the shares of Skye Bank topped the activity chart with 95.91 million shares valued at N50.77billion. Mansard Insurance followed with 42.89 million shares worth N85.78million, while Transcorp traded 20.37 million shares valued at N25.65billion. Meyer Paints traded 20.27 million shares worth N14.19million, and Access Bank transacted 17.29 million shares valued at N165.82million.